Please read this ENTIRE prospectus carefully before entering. Eligibility: Plein air paintings, no size restriction. Depending on space, 4 paintings will be hung per artist. April 1, 2019 Final date for shipped artwork to arrive at the Museum. This is the absolute final date. Hand-delivered work must arrive at the Museum between 11am and 5pm and must be wrapped in bubble wrap. June 16-21 return shipping of unsold artwork using prepaid shipping labels provided by the artist. By June 30, 2019 Payment to show artists of sold works. Open to all current PAAC Members. Must be two-dimensional media, excluding photography, mixed media, fiber and digital media. Only original paintings completed“en plein air” are eligible. Enter 4 of your best plein air paintings. No studio paintings. Still life paintings will not be accepted unless clearly completed outdoors. Work done in class and/or under the guidance of an instructor is not eligible for entry. Digital images are assumed to be accurate representations of the entrant’s original artworks. Artwork that differs markedly from the submitted image will be disqualified. Price specified at entry will be the price listed throughout the show and is a retail price; no late changes. Work MUST be available for sale. Any accepted work which is presold MUST be included in the show. Discounts on sales may be arranged between each artist and Museum. The Museum will call the artist if an opportunity arises and the artist can determine whether they approve and dictate terms. Artist may submit up to 4 images, and at least 2 images will be selected to hang in the show. Register on the PAAC website under Events. Entry Fee $10. 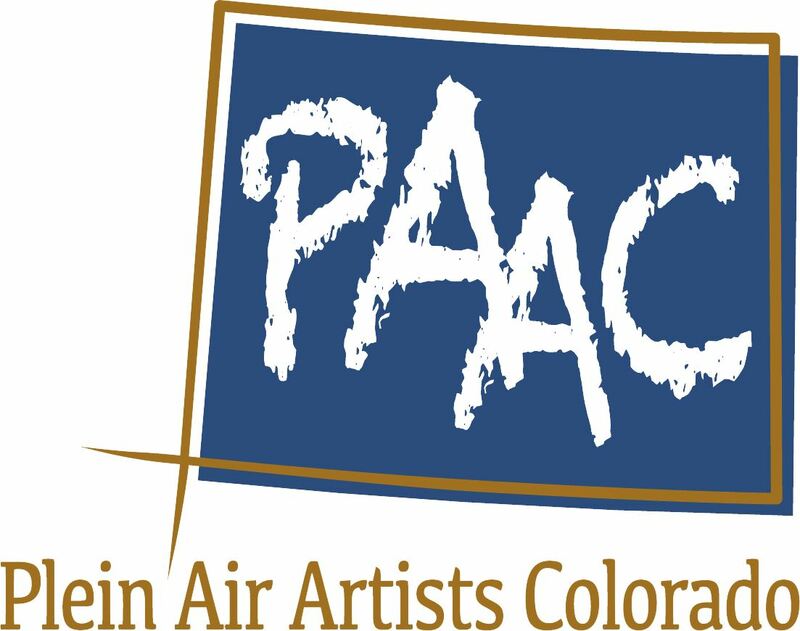 If you have not paid your 2019 membership dues, you may go to https://pleinairartistscolorado.wildapricot.org/Join-or-Renew to pay online with a credit card or via Paypal. There are instructions there if you prefer to mail a check. Paintings must be professionally framed in a fine art gallery-quality wood frame, OR Gallery wrap with finished edges. Must be wired and ready to hang. No sawtooth hangers. Inappropriately framed pieces may not be hung, at the gallery’s discretion. Gallery will allow artist to reframe the piece in an acceptable frame, at artist’s expense, to remain in the show. Works on paper must be under glass or Plexiglas. Hand deliver artwork to Museum March 25-31 between 11am and 5pm, closed Monday. Make sure label is filled out and attached to the back of the artwork. Must be wrapped in bubble wrap or foam sheet. Label again on the outside of wrapping. Prepaid return shipping label. Art shipped without a prepaid return label will not be displayed until a return label is provided. Failure to provide a prepaid return label will result in a $25 handling fee in addition to the bill for return shipping. Identification tags attached to back of each accepted work. It is recommended that artists use either Masterpak or Airfloat boxes for shipping. For pieces shipped with glass, neither PAAC nor the Gallery is responsible for breakage or replacement. We suggest you use Plexiglas. It is suggested that artists who ship glass should always cover it with a product called “glass skin” which is available from the Masterpak company… it holds the glass together in case of breakage in transit, is easily peeled off, and may be re-used if handled carefully. Accepted artists will be responsible for shipping and insurance both ways. Hand-delivered work to be picked up by artists at the Museum June 16-21 see above. Shipped work will be returned to artists using the return address labels they provided. All unsold artwork not picked up or shipped will become the responsibility of PAAC, and a representative of PAAC will take custody of such paintings,and held for a limited time only. Works not picked up from PAAC by June 21, 2019 will become the property of PAAC and will be disposed of at PAAC’s discretion. All entries will be made at the risk of the entrant. Artists are responsible for insuring their work during transit. The Museum of Friends will provide insurance on all works in the show while they are on the gallery premises for the same percentages specified in Sales. The Museum shall be responsible for the safekeeping of all consigned artworks while on premises. Although PAAC and its members will use their best efforts to prevent such occurrences, PAAC, The Museum, nor any volunteers associated with the show are responsible for loss or damage of members’ work. By submitting this application, Artist is agreeing to these terms.